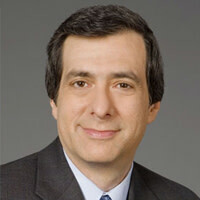 Howard Kurtz on the political fallout from Romney’s ill-timed attack. Mitt Romney may have pulled the trigger too quickly. By slamming the Obama administration as the U.S. ambassador and three other Americans were killed in Libya, the Republican nominee has given the appearance of exploiting an international tragedy. Whether his criticism is warranted or not, the timing seems insensitive—as if Romney is more interested in scoring political points than mourning the deaths of U.S. diplomats. The attack on the U.S. consulate in Benghazi, and at the embassy in Cairo, dramatically shifted the focus of the presidential campaign to foreign affairs, a subject that Romney has largely minimized. In fact, he was still trying to recover from the blunder of failing to mention the war in Afghanistan during his convention speech when the world’s focus suddenly shifted to the Middle East. Romney has little experience in foreign policy—neither did then-senator Obama in 2008—and his team is betting that a laserlike focus on the ailing economy matches the country’s central preoccupation. But global violence has a way of intruding on domestic politics, as Jimmy Carter learned during the Iranian hostage crisis of 1979—also the last time an American ambassador was killed. In a statement issued late Tuesday night, Romney said he was “outraged” by the attacks in Libya and Egypt, which were sparked by an inflammatory Internet video denigrating Muslims. “It's disgraceful that the Obama administration's first response was not to condemn attacks on our diplomatic missions, but to sympathize with those who waged the attacks,” he said. At the time, only one U.S. consulate worker in Benghazi had been confirmed dead—a situation that underscored the risk of issuing a condemnation before all the facts are in. The president’s team wasted no time in accusing Romney of blind partisanship. “We are shocked that, at a time when the United States of America is confronting the tragic death of one of our diplomatic officers in Libya, Governor Romney would choose to launch a political attack,” said campaign spokesman Ben LaBolt. Romney repeated his criticism in Florida on Wednesday morning, adopting a more-in-sorrow-than-anger tone. After saying that the news “breaks the hearts of all of us,” he said “the administration was wrong” to stand by “a disgraceful statement” that was “appeared to be an apology for American principles.” Romney acknowledged that the White House had distanced itself from the embassy’s comments, but called the sequence of events “a severe miscalculation” that “clearly sent mixed messages to the world.” He deflected several reporters’ questions about whether he jumped the gun by making his Tuesday comments so quickly after the killings. The Romney camp initially embargoed its statement until midnight to avoid having it released on the 11th anniversary of the Sept. 11 attacks—showing more sensitivity to the remembrance of that tragic day than to the impact of fresh violence in the Middle East. Romney was referring to an initial statement from the embassy in Egypt that seemed to apologize for offending Muslims. “The Embassy of the United States in Cairo condemns the continuing efforts by misguided individuals to hurt the religious feelings of Muslims—as we condemn efforts to offend believers of all religions,” the statement said. The attacks came after a trailer for an online English-language film that mounts a crude attack on the Prophet Muhammad was dubbed into Arabic and posted on YouTube, as the original trailer had been, drawing tens of thousands of views and media attention in Egypt. The Romney campaign has not addressed the anti-American riots since Tuesday’s statement, perhaps sensing that the candidate sounded too harsh at a time of revulsion and sympathy over the death of Ambassador Christopher Stevens and his colleagues. To the extent that Romney has delved into foreign affairs, he has had a tough time getting any traction. His recent trip to Britain, Israel, and Poland was marred by a series of gaffes. Romney has criticized the president’s approach on Afghanistan but declined to spell out what he would do differently, and has not challenged the administration’s plan to withdraw U.S. combat forces by 2014. Romney has been similarly critical of Obama’s dealings with Iran but has not indicated what other steps he would take to restrain its nuclear program. In a speech to National Guard members in Reno, Nev., on Tuesday, the former Massachusetts governor criticized the deep cuts in defense spending that will be automatically triggered at year’s end if Congress does not act. Two days earlier, he said it was a mistake for Republicans to have agreed to the cutbacks—neglecting to mention that his running mate, Paul Ryan, voted for the budget deal. If the next few days are consumed by the attacks in Libya and Egypt, Romney will face a tough balancing act in finding ways to criticize the administration without highlighting his own international inexperience—or straying too far from his central economic message.